(29 cm), 122 (2) pp., illustrations (some in colour). 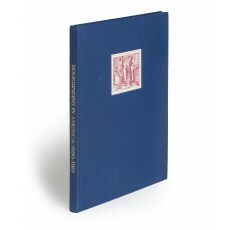 Publisher’s blue cloth, illustration mounted on upper cover. - Descriptions of 62 bindings in the collection of the Revd Dr Frederick E. Maser, executed from c. 1680 to 1909, with an essay (The Evolution of American Binding Styles in the Eighteenth Century) by Spawn, conservator for the American Philosophical Society. “[Spawn] uses Dr Maser’s bindings to demonstrate his contention that regionality of styles slowly gave way by the end of the eighteenth century to form a national style” (from a review by Marcus A. McCorison, in The Times Literary Supplement, 14 September 1984, p.1034). 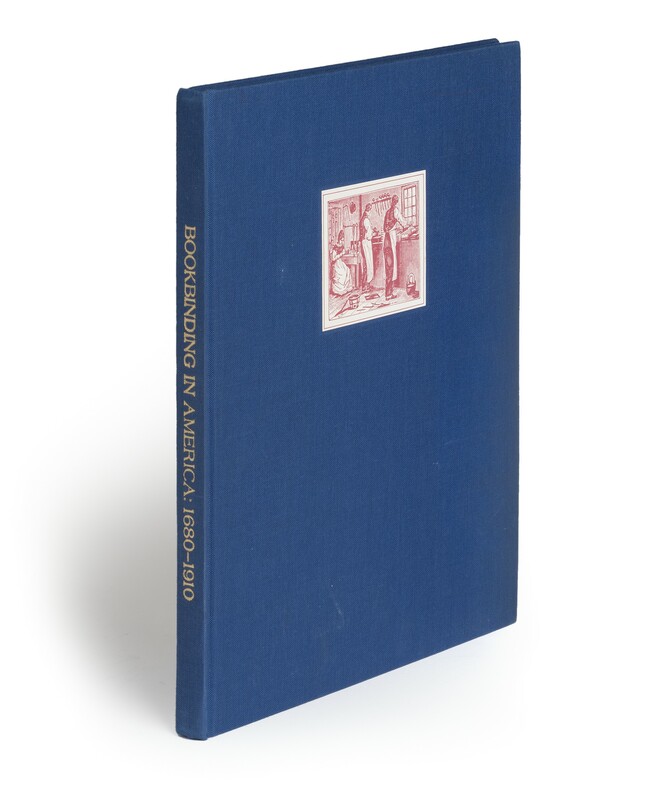 Extensive review by Jan Storm van Leeuwen, ‘American bookbinding through two centuries (ca. 1660-1860) in three recently published books’ in Quaerendo, volume 17 (1987), pp.60-75. ¶ Very good, unmarked copy.